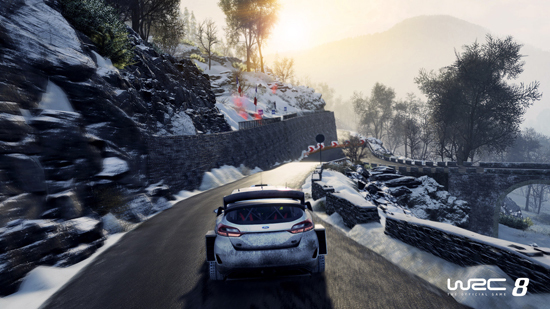 WRC 8, FIA World Rally Championship is back improve all aspects of the game: better graphics, more technical routes, smoother pace notes and a more comprehensive career mode. WRC 8 will go above and beyond WRC 7, especially in the steering requirements and the realistic physics of the vehicles. While the WRC enjoyed an epic season in 2018, with the destiny of the drivers’ title only being decided on the final morning of the season in Australia, 2019 is already shaping up as another fascinating year. In WRC 8, players will be able to choose their driver from the official teams of the 2019 season marked by the return of Sébastien Ogier (6 times World Champion) from Citroën Racing, accompanied by Esapekka Lappi, while Toyota will try to defend its 2018 manufacturers’ title with Jari-Matti Latvala, Kris Meeke and Ott Tänak. 2019 is also marked by the return of the nine-time World Champion and WRC legend, Sébastien Loeb, driving this year for Hyundai Motorsport in support of Thierry Neuville, Andreas Mikkelsen and Dani Sordo. M-Sport Ford, will rely on Elfyn Evans and Teemu Suninento draw attention again. WRC 8, FIA World Rally Championship (WRC) 2019 official video game, will be available in September for PlayStation 4, Xbox One, Nintendo Switch and PC.